Dominic A. DeLaurentis III joined Stahl & DeLaurentis in 2017. He is an Associate in the firm, representing clients in matters involving medical malpractice defense and general liability defense. Dominic graduated from Syracuse University in 2014, earning a Bachelor of Science degree in Biology. While attending Syracuse, he received the Chancellor’s Scholarship, the highest general academic merit-based scholarship offered by the University, and received Dean’s List honors. 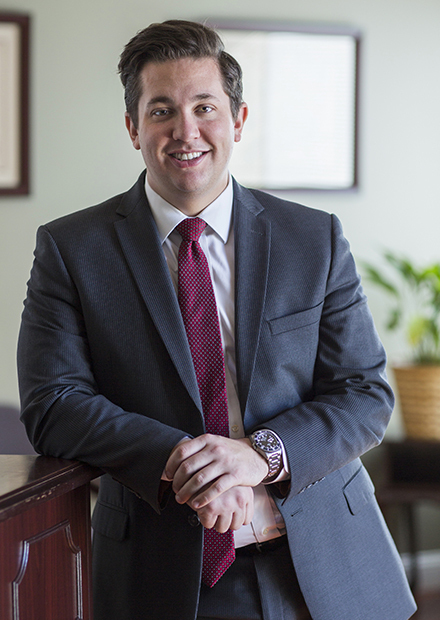 Dominic then received his Juris Doctorate from Rutgers School of Law – Camden in 2017. While at Rutgers Law, he received the Dean’s Academic Excellence Scholarship, and the Edwin and Helen Farrell Scholarship, both based upon academic merits. As a student, he competed against premier law schools from around the world at the Willem C. Vis International Moot Arbitration competition held in Vienna, and upon graduating, Dominic was awarded the Dr. Maro R. Sondahl Award, recognizing excellence in arbitration. He is admitted to practice before the State and Federal Courts in New Jersey and is a member of the Camden County Bar Association.